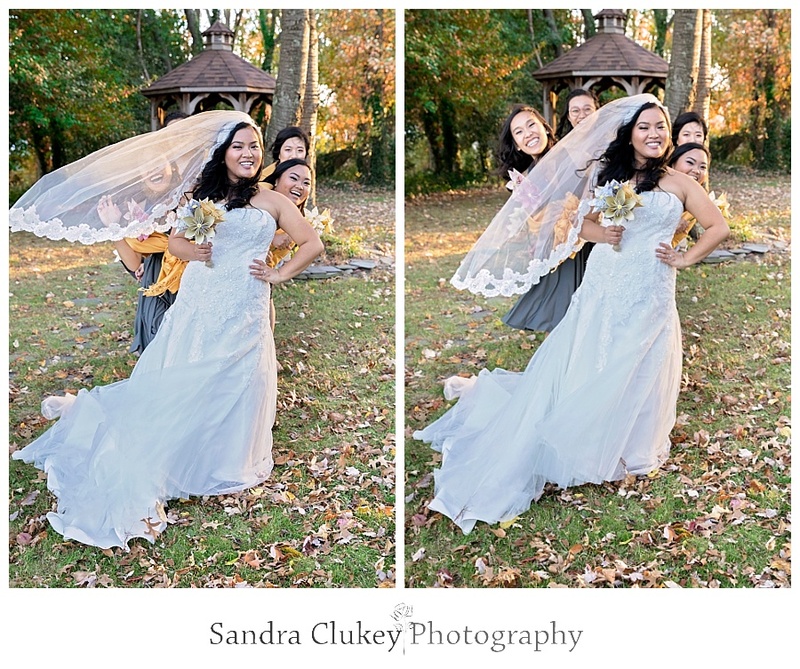 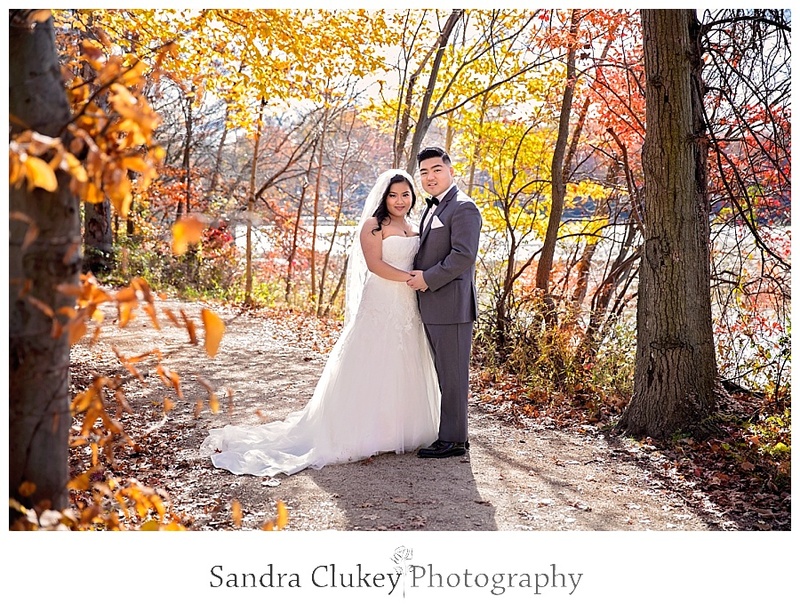 It was a beautiful fall day in Marlton New Jersey and a perfect day for a wedding. 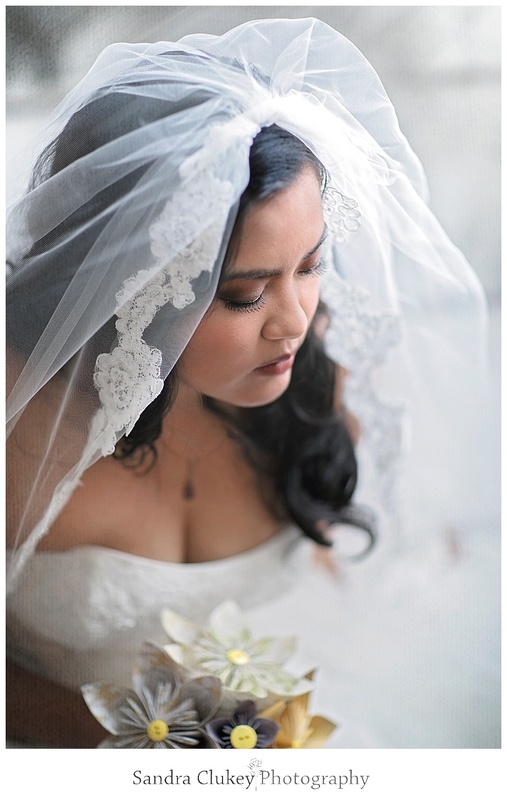 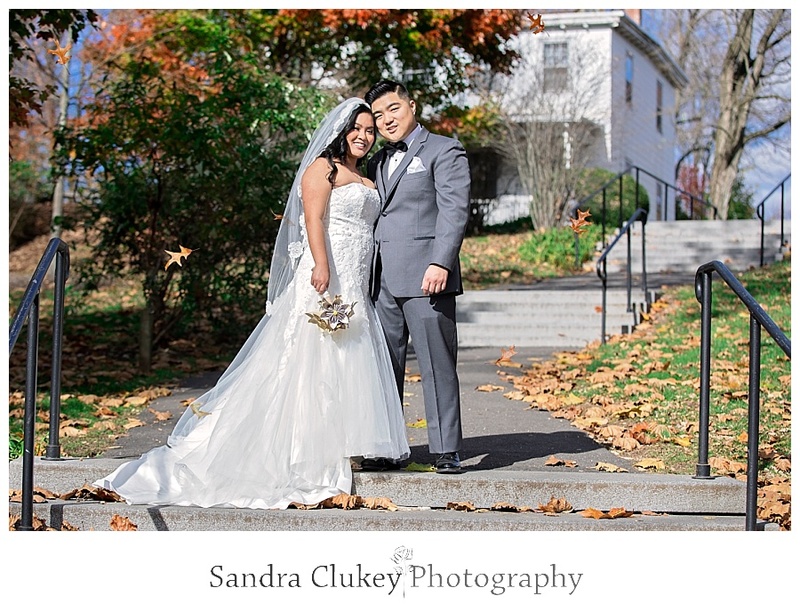 Hannah Peralta was the beautiful bride and Jinsoo Kim was the handsome groom. 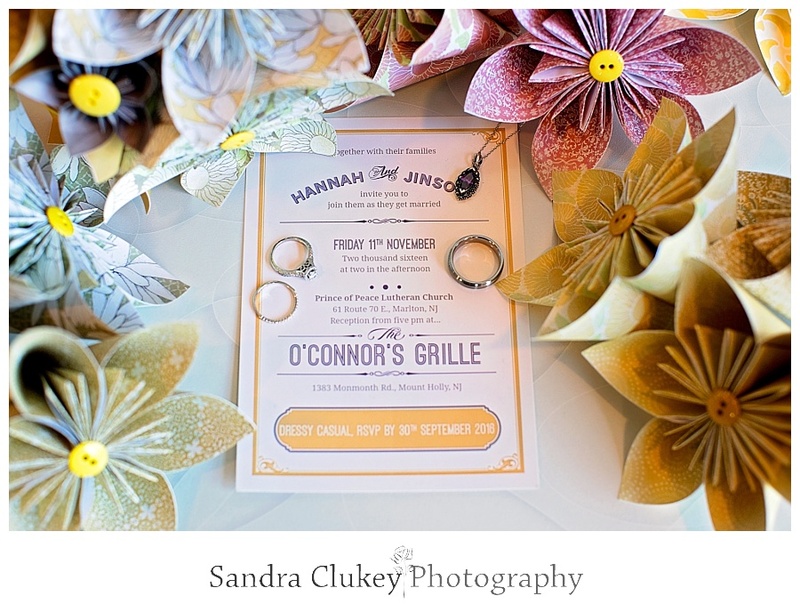 Hannah’s wedding bouquet along with all the bridesmaids’ bouquets, the groomsmen boutonnieres and all the decorative flower bouquets that decorated the reception were all handmade origami flowers created by Hannah herself. 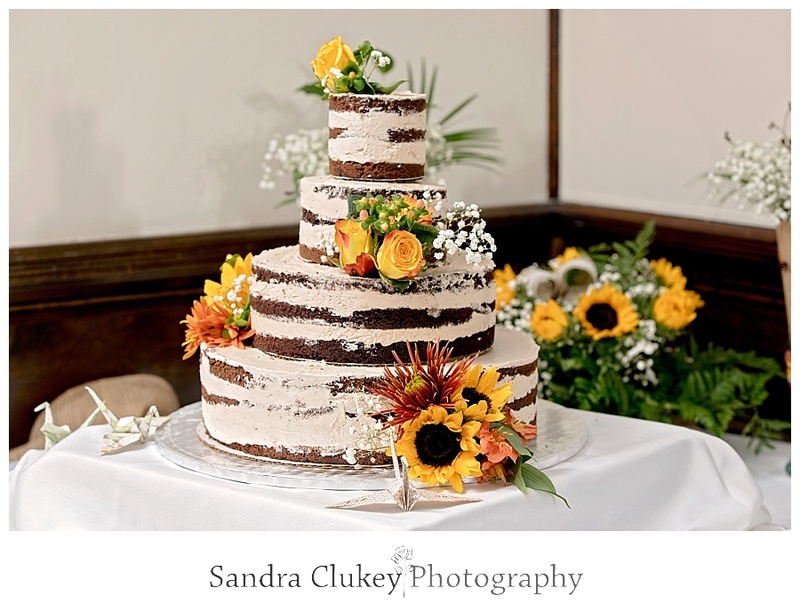 Hannah said it took her close to a year to make all these flowers and it was so worth it as they were simply exquisite! 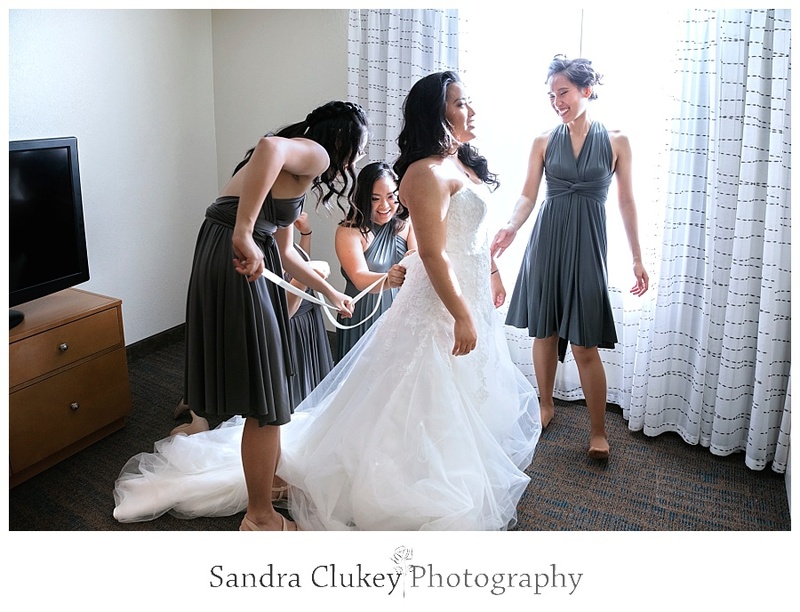 The bride started her day getting ready at the Residence Inn in Mt. 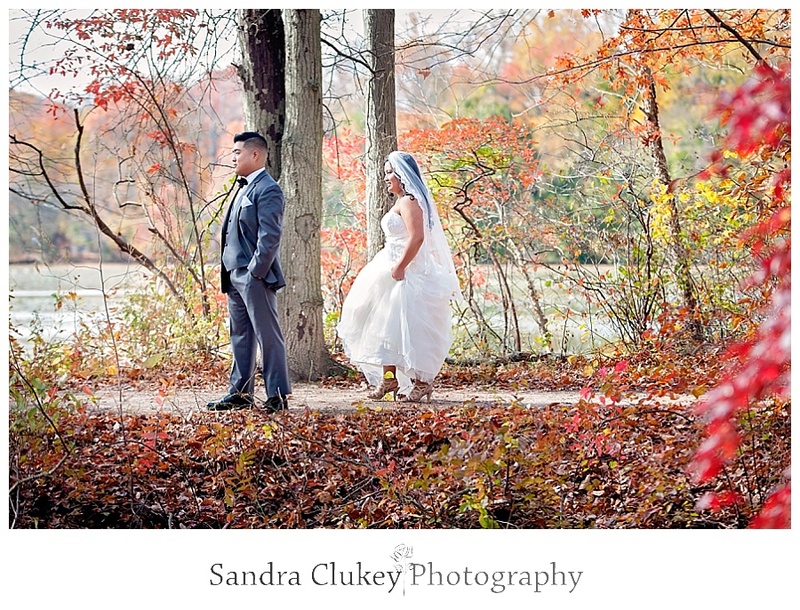 Laurel NJ. 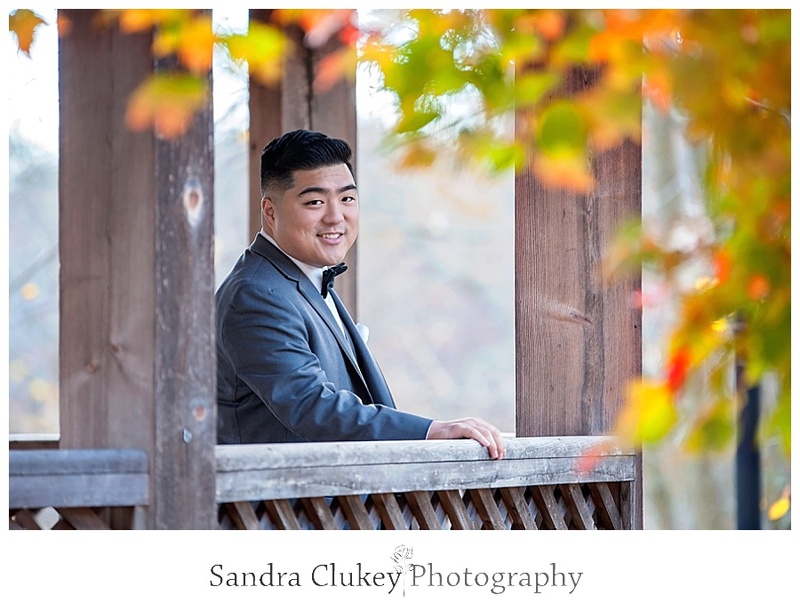 After some bridal portraits the bride and groom shared a private first look at a Historic Smithville Park, the same park where they had their engagement shoot. 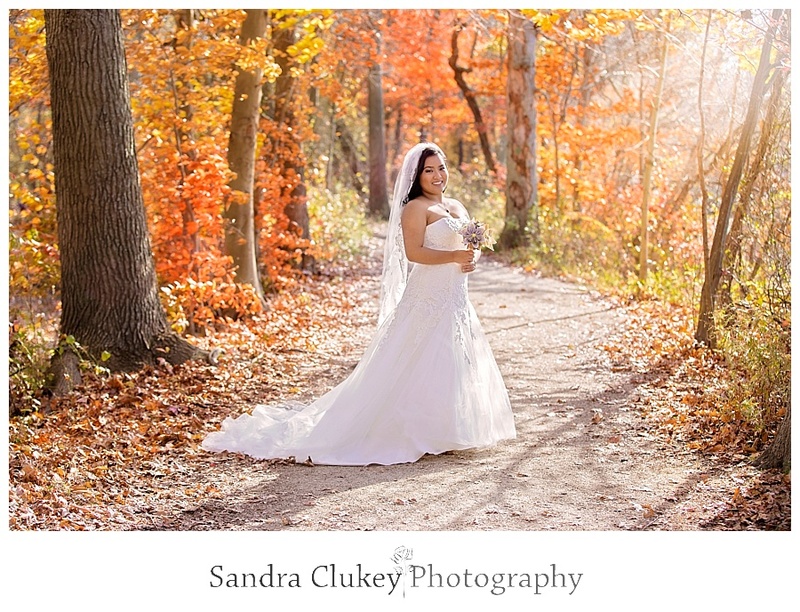 The New Jersey fall colors were simply spectacular this time of year! 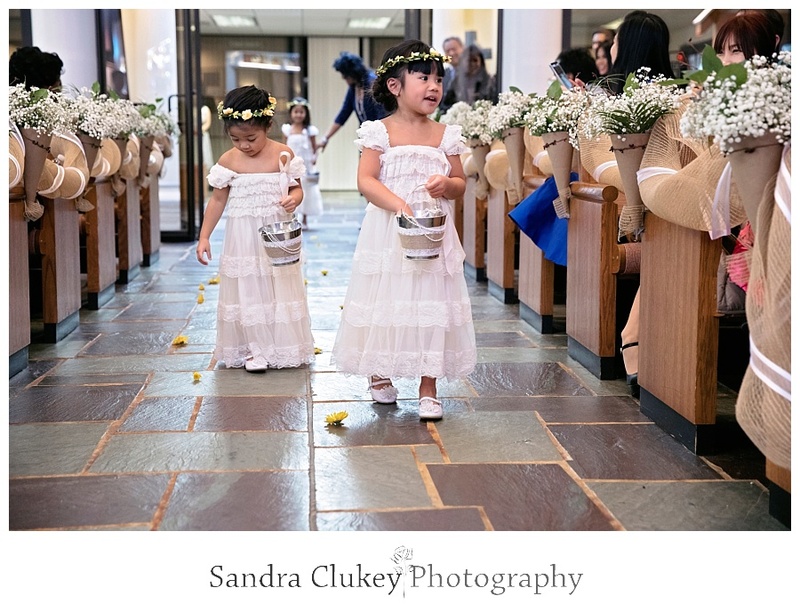 After an emotional first look the bride and her bridesmaids enjoyed some girl time strolling down the park walk ways together. 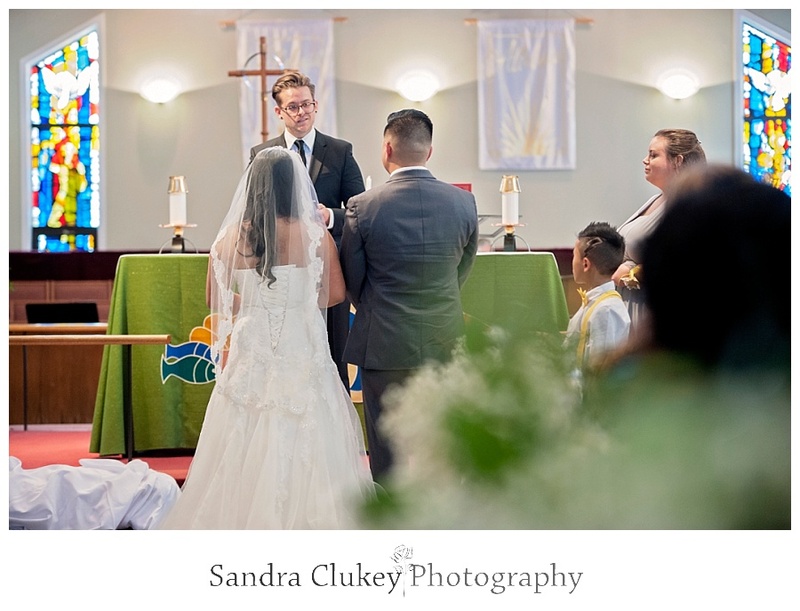 We then headed to Prince of Peace Lutheran Church where the couple would say their vows surrounded by family and friends from the local area, California, The Philippines and Korea. 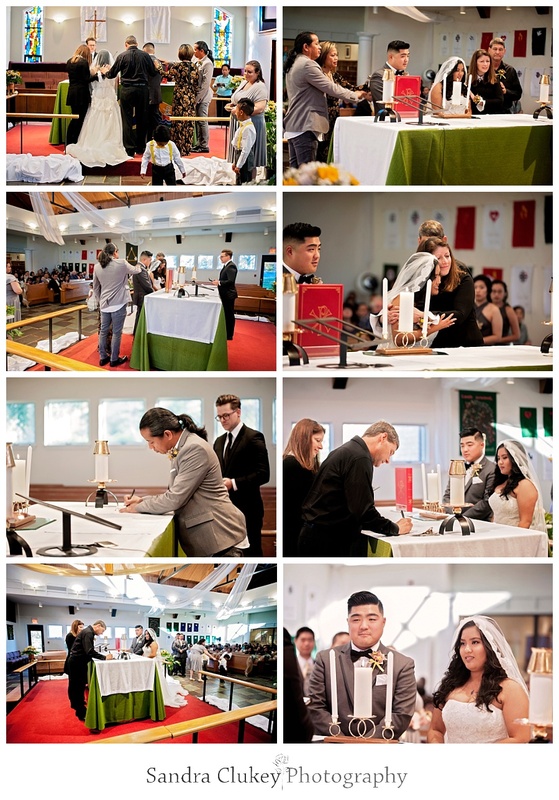 It was a truly beautiful service that included a candle lighting ceremony. 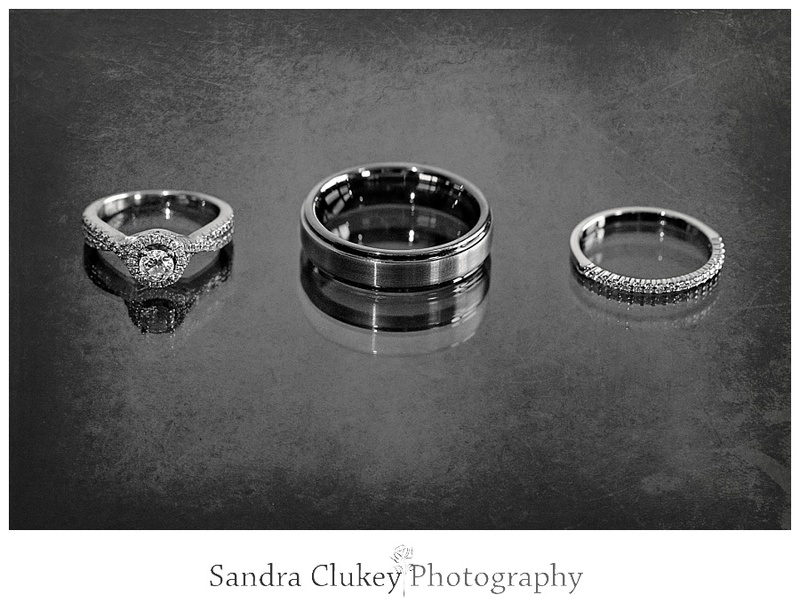 After the service and some more wedding photo shooting we all traveled to O’Connors Bar and Grille in Mt. 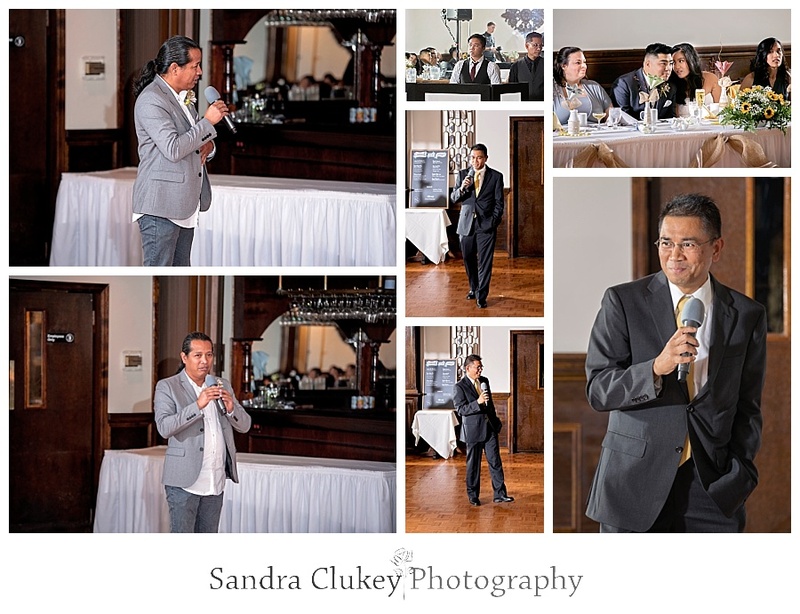 Holly Nj where the festive reception would take place. 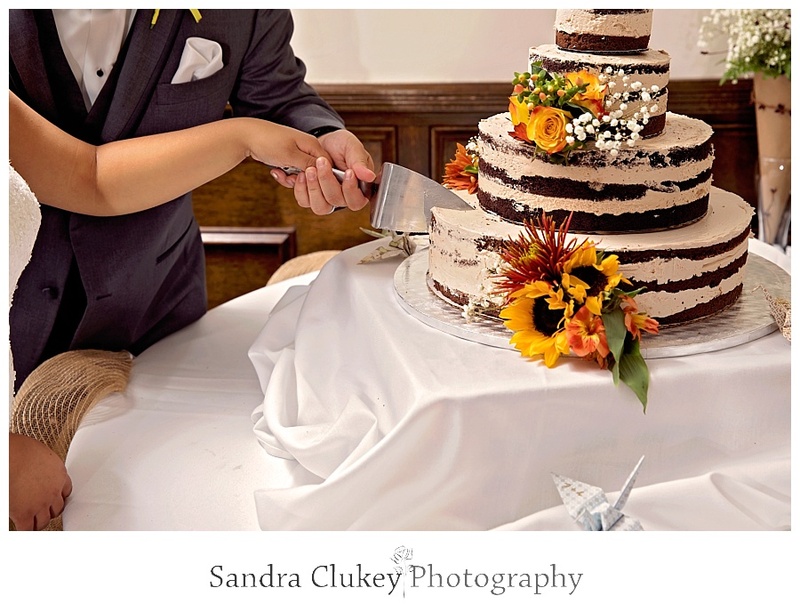 After some light hor d'oeuvres and a wonderful dinner the bride and groom cut the cake and shared a piece of the delicious naked chocolate mousse cake adorned with yellow roses and baby’s breath. 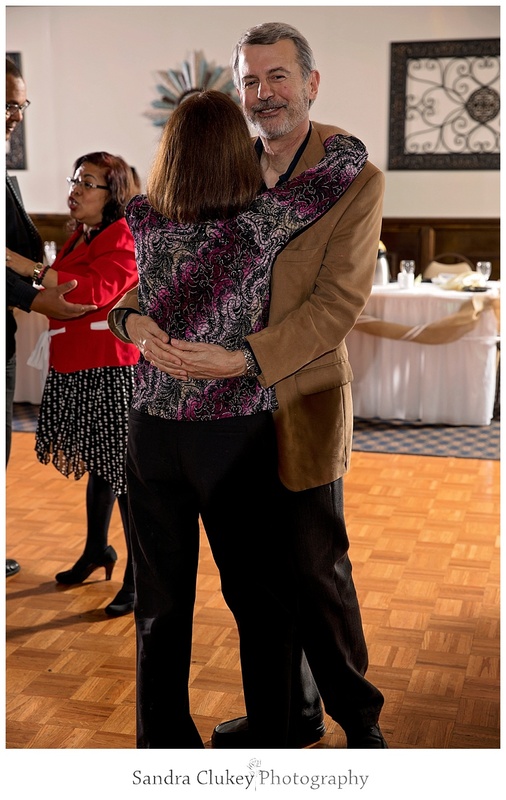 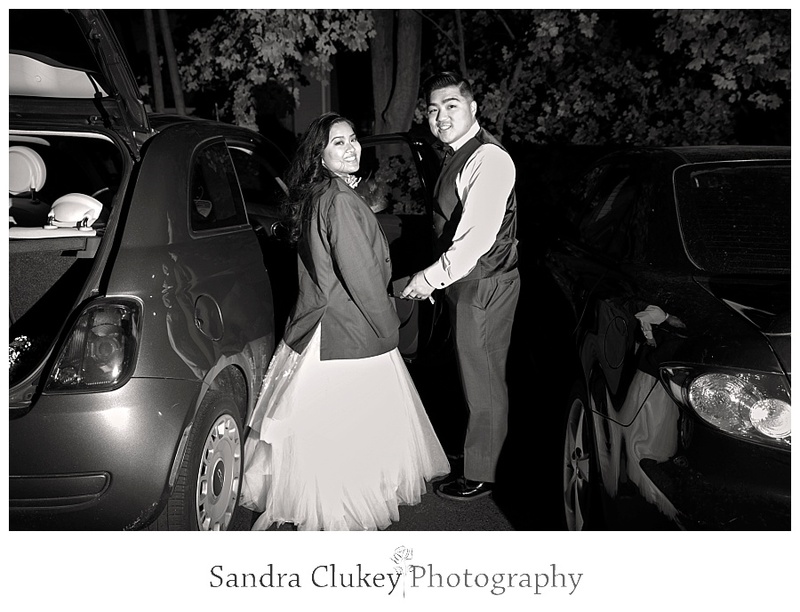 After some dancing and celebration the bride and groom said their good-byes and left to start their new life together. 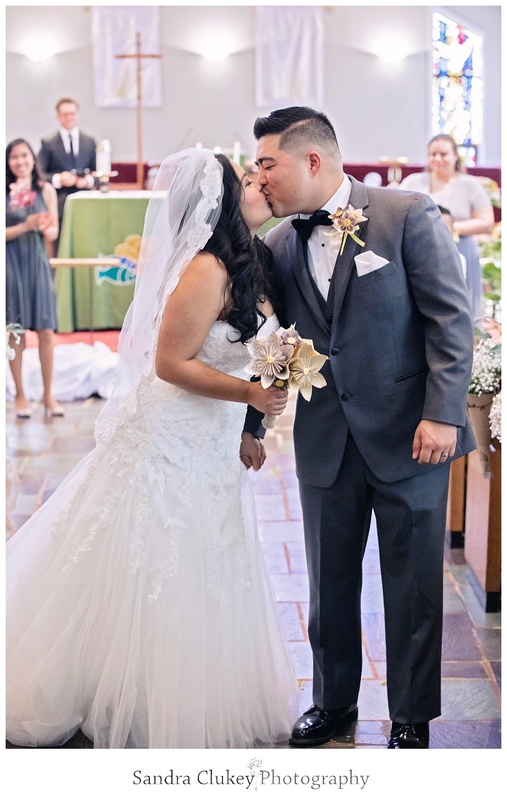 It was a beautiful wedding from start to finish! 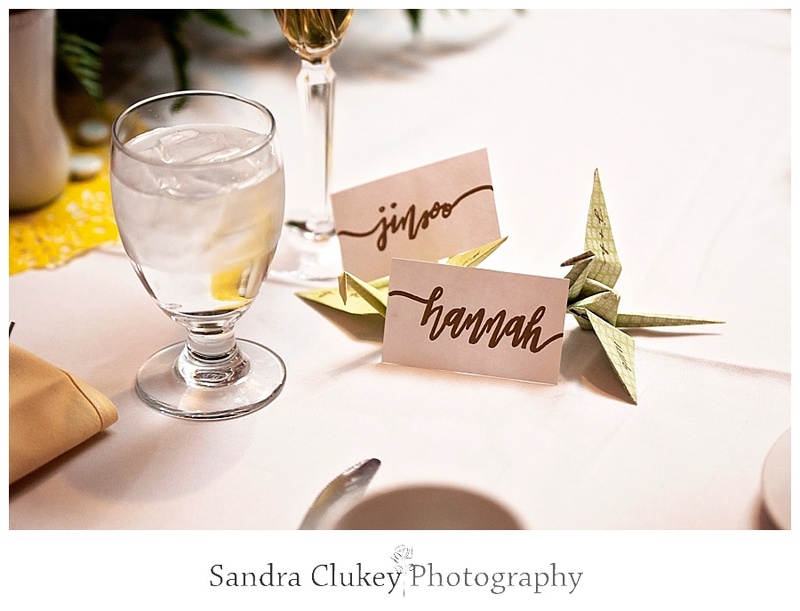 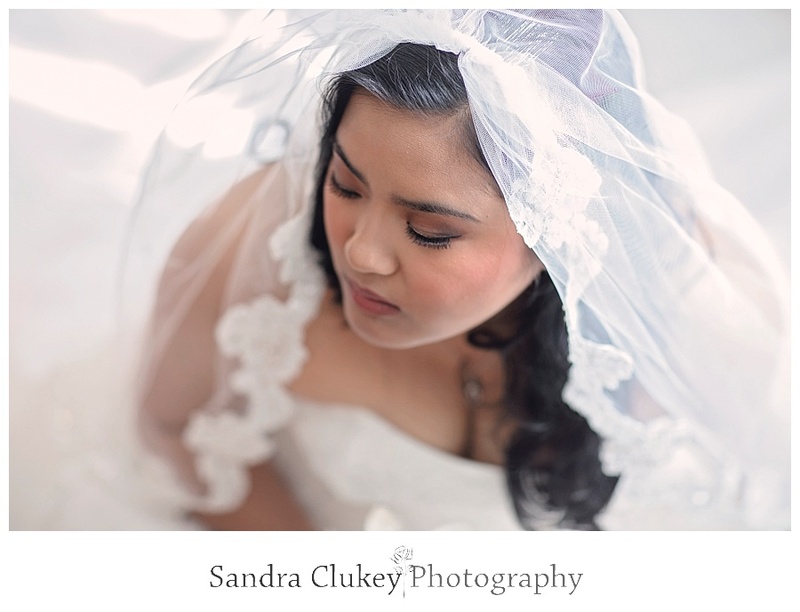 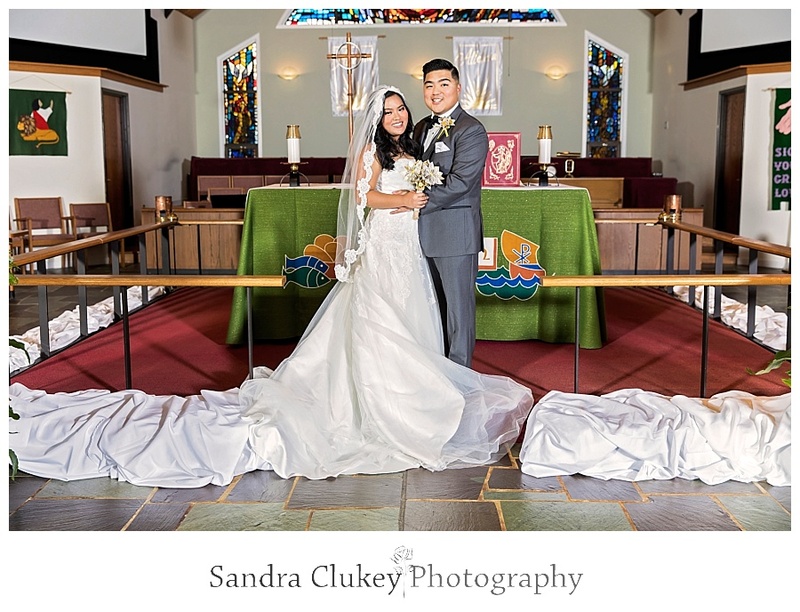 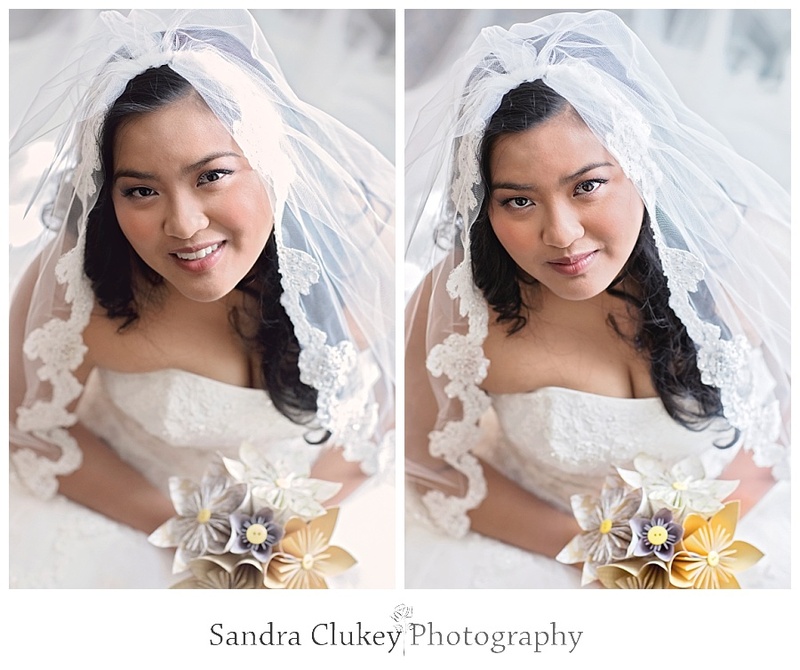 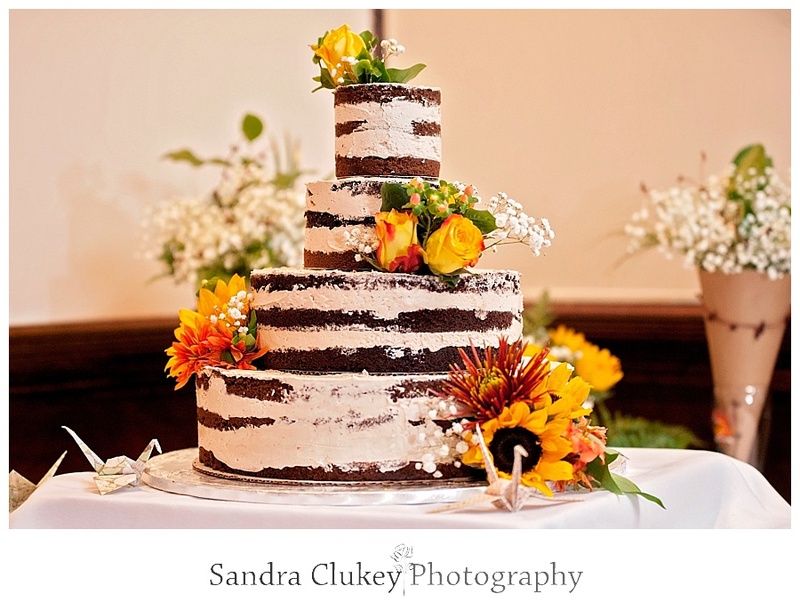 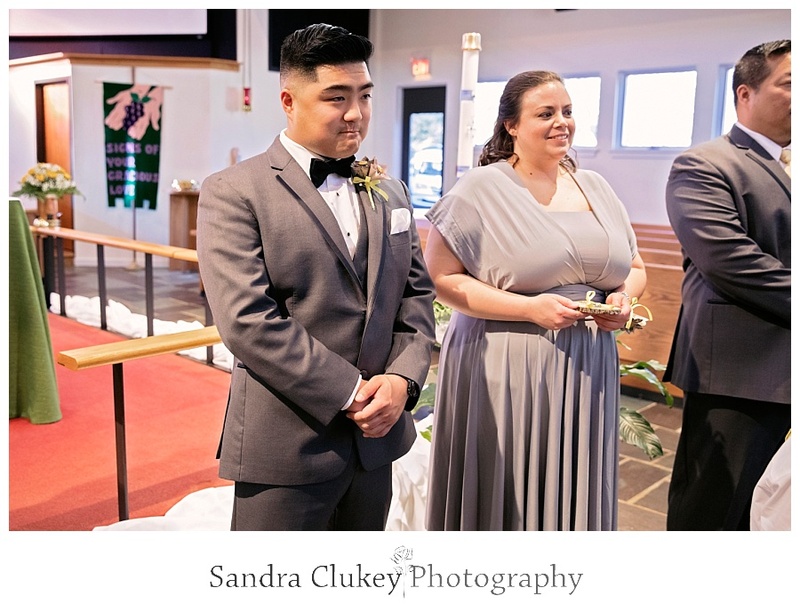 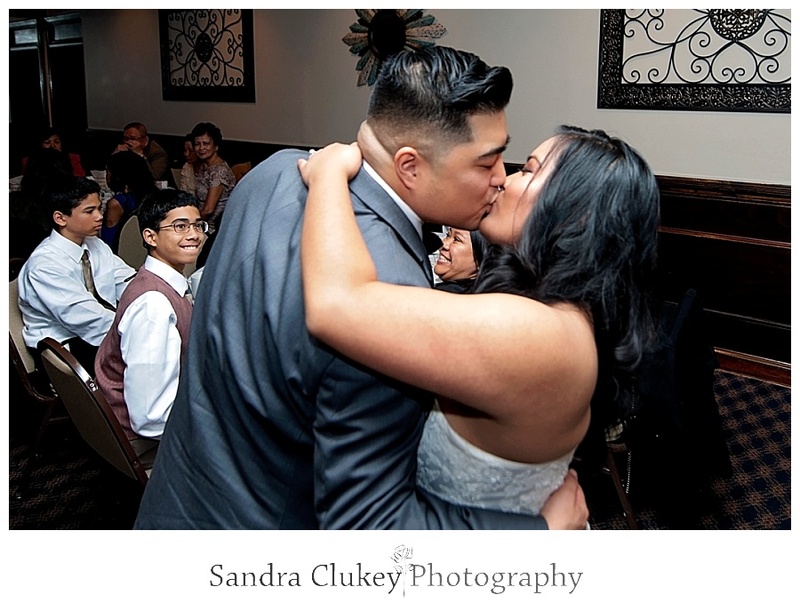 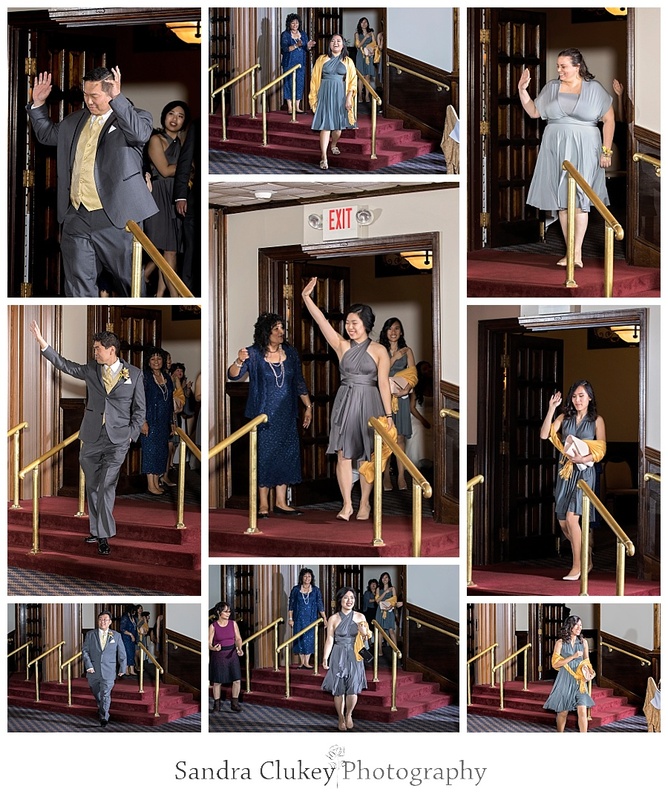 We here at Sandra Clukey Photogaphy, LLC wish Hannah and Jinsoo a very blessed life-long happy marriage filled with joy, happiness, lots of love, children, coffee, chocolate, and dogs! 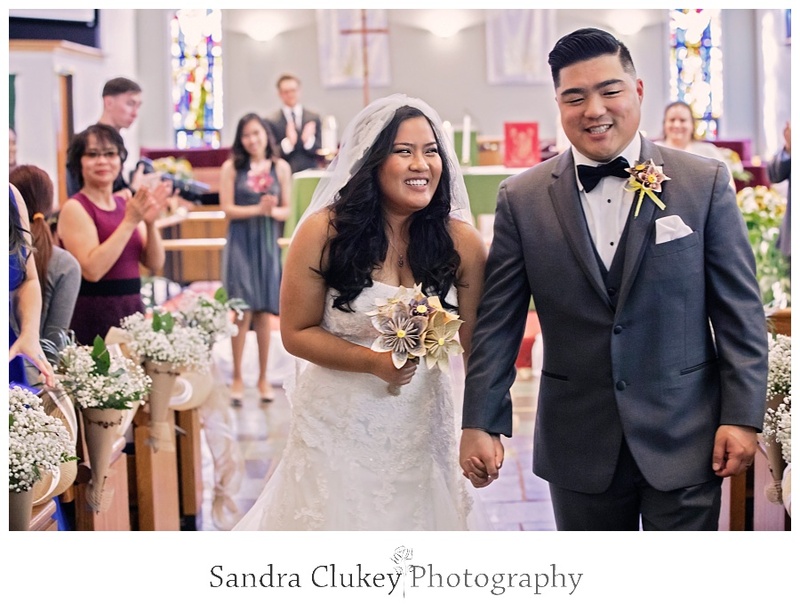 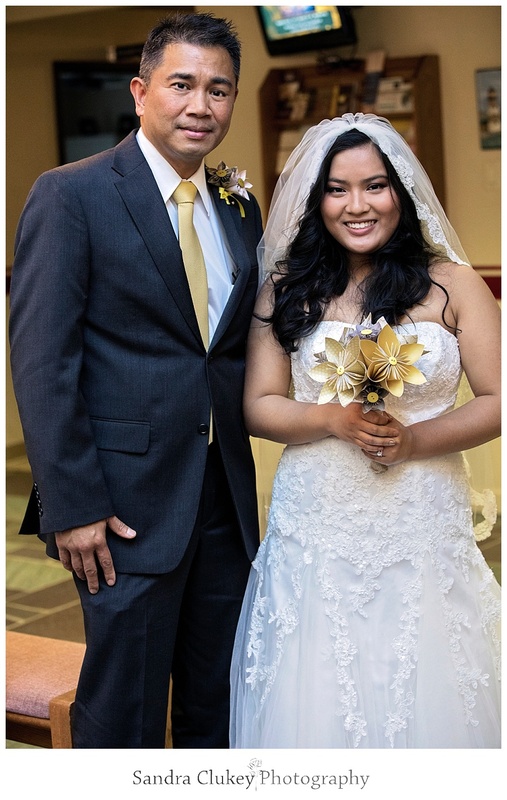 Thank you for viewing and being a part of Hannah and Jinsoo' wedding day at Prince of Peace Lutheran Church in Marlton NJ and O'Connor's Grille in Mount Holly NJ Chapel in Cleveland Tennessee. 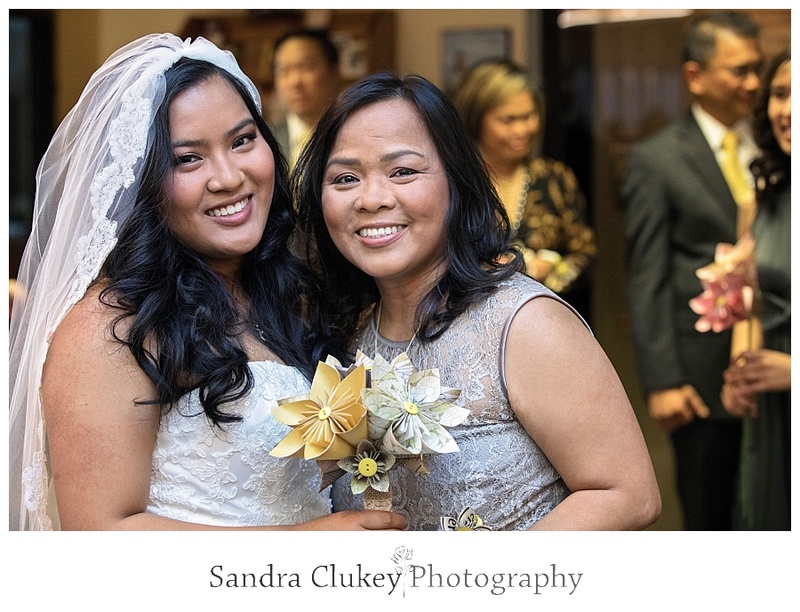 We love photographing destination weddings and photographing weddings locally right here in the Chattanooga Tennessee area and surrounding areas including Cleveland Tennessee, Nashville, TN, Knoxville TN, Atlanta GA, and Huntsville AL. 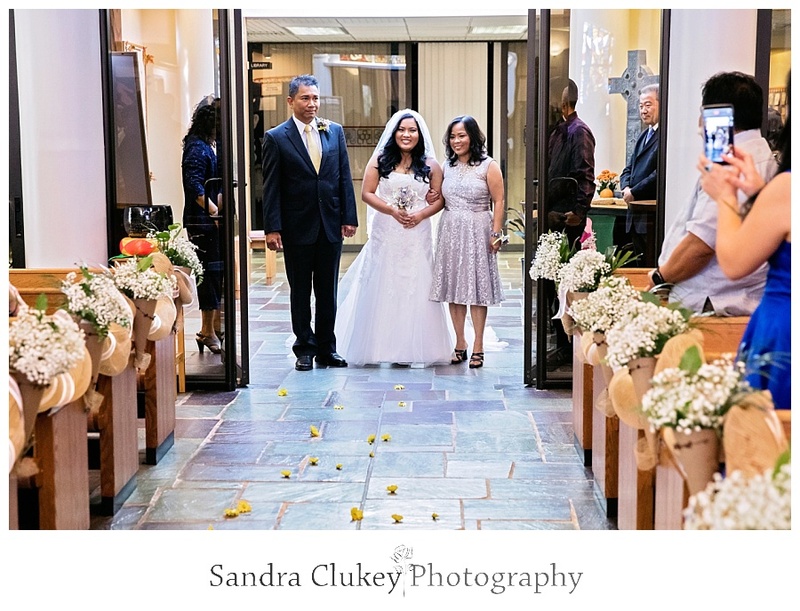 We are zealous about traveling and we would be thrilled to travel to your destination wedding nationally or internationally.